Create unlimited short urls and automatically copy urls to your device. Share using your favourite social networks, email or SMS. 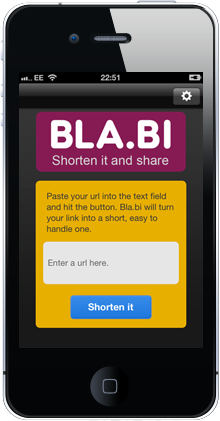 Bla.bi urls are fast, reliable and will never expire.